It was famously said of George Washington that he was “first in war, first in peace, and first in the hearts of his countrymen.” It might be said of James Monroe that he was last in several notable respects. Monroe was the fifth U.S. president, but he was the last candidate to run unopposed. He was the last veteran of the American Revolution to serve as president. He was the last president to dress in the old colonial fashion, with breeches and a ruffled shirt. Monroe was the last president to die on July 4th (three of the first five presidents did). 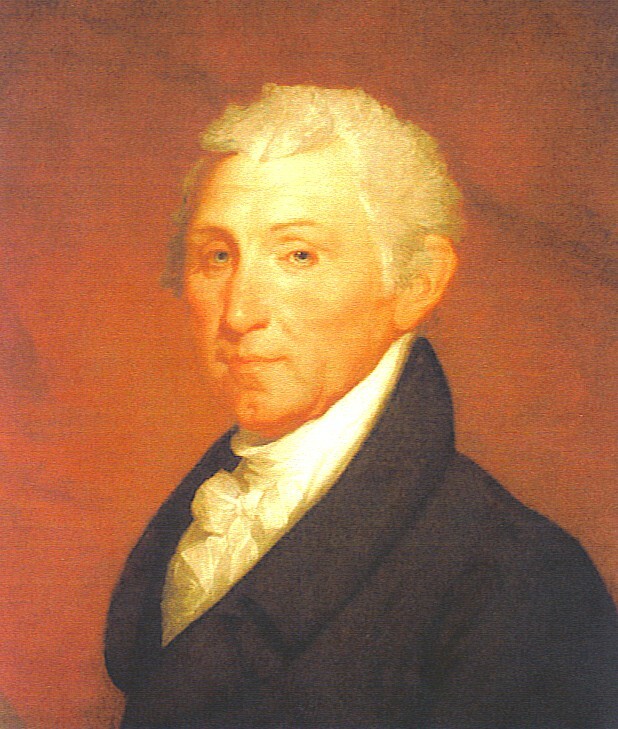 It might be stretching the truth a little, but one could perhaps also make a case that James Monroe’s presidency was the last time the American political system wasn’t hobbled by rancorous partisanship. In fact, the overall mood in the young country was so positive in the period from 1816 to 1824 that those years are known by historians as the Era of Good Feelings. That designation may be a little misleading. All 9.6 million residents of the United States were not standing around a campfire, holding hands and singing “Kumbaya”. There were problems — chiefly the evil of slavery — that were simmering. Economic boom years went bust, resulting in the Panic of 1819. For a few years, though, people of opposing views were able to express their opinions without spittle flying. In a spirit of cooperation and compromise, Congress actually accomplished a few things. There were several reasons for this brief respite. For one thing, the War of 1812 had come to a successful conclusion (from the point of view of the U.S.). After decades of hostilities, Americans could catch their breath, so to speak. The Federalist party, which had staked its reputation on opposition to the war, now slunk off into oblivion. That meant there was basically only one political party, so it managed to get along with itself reasonably well. You’ll love the irony: that harmonious political party was known as the Democratic-Republicans. The country was growing, both in area and numbers; by 1819 nine new states had joined the original thirteen. The president announced what later came to be known as the Monroe Doctrine, spelling out U.S. foreign policy. It basically stated that a) the American continents were off-limits for further European colonization, and b) the U.S. would stay out of European political affairs unless its own interests were directly involved. All of these elements combined to establish that U.S. independence was no longer an iffy proposition. In other words, the Era of Good Feelings was probably due to the collective sense of satisfaction that Americans had; it’s as if there was a giant thought-bubble over their heads that said, “Hey, we made it!” And since television had not yet been invented, there were no professional demagogues to tell them otherwise. Incidentally, here’s another James Monroe “last”. As far as I know, he is the last U.S. President to have a foreign capital named for him: the capital of Liberia is called Monrovia in his honor. No, Cleveland doesn’t count — it’s not a foreign capital, and it was named long before Grover Cleveland was president! Sorry… I didn’t mean to raise my voice when we were having these good feelings. This entry was posted in History and tagged James Monroe. Bookmark the permalink. Yes….not one of our worst presidents. He was big into real estate…..major player in western expansion, the Louisiana Purchase, Transcontinental treaty……..Florida!!!! and in acquiring the Pacific Northwest……….But, sadly like many real estate speculators he wound up broke……lessons to be learned.